Daughter of the famous actor Alexander Moissi and his wife Maria Urfus. Her mother often noted the similarities between father and daughter. She married director Konrad von Molo, a son of the poet Walter von Molo. They had a daughter in 1944, Elisabeth. After the war she met actress Sybille Schmitz. The two fell in love and soon started living together. Schmitz was a heavy drinker and she killed herself in 1954 with sleeping pills. Von Molo worked as a director and as a scriptwriter. In 1947 she directed plays at the "Kleinen Komödie" in Munich. In the 1950s in München she ran the small attic theatre "Das Atelier" together with Walter Janssen. Marianne Kortner, the daughter of actor Fritz Kortner, assisted her there. In 1954 she directed the dialogs in the movies "Angst" and "Frühlungslied". She also wrote part of the scenario for "Paris brûle-t-il?" (1966). 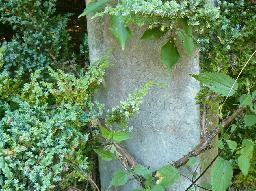 The grave of Conrad and Beate von Molo at the Waldfriedhof Solln, Munich.